Receiving a traffic ticket in Miami for committing a traffic offense is not uncommon, especially since tickets are a huge revenue generator for the state and county. 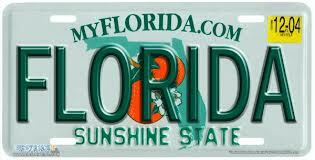 In fact, Miami-Dade county generates about a million traffic tickets per year all by itself. People are ticketed for failure to stop fully at a sign (rolling stops are common around here), and speeding is yet another area where cops love to set up their traps and pull people over at certain times of the month. While it is certainly a common occurrence for people to receive tickets of some kind, it’s not favorable and they’re really nothing to scoff at. Over time, tickets and points accrue and the long-term repercussions are nothing to be proud of or happy about. Tickets have points associated with them. From 3 points for speeding up to 15 over, to 6 points for leaving the scene of an accident—every moving violation conviction has a point value. 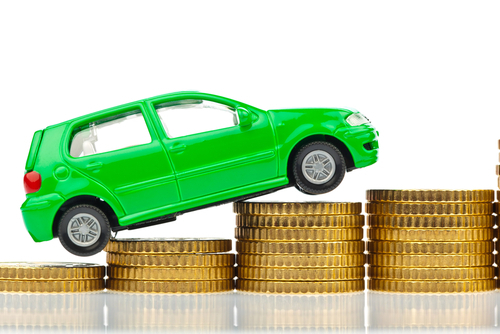 As you accrue more points, they are report it to your insurance provider and your premiums rise. Just because they’re accumulated over a 12 month period does not mean that it is something to ignore. The more points, the higher rates get. This also assumes that the driver only received a single violation when stopped. There have been people who have gotten 6-12 violations in one stop. Just upset the police officer and you will find out for yourself how many can be drawn up. Now that they are computer generated in many cases, even from the cop’s I-Phones, it’s easier than ever for an officer to write up as many violations as the cop can observe and think up in one stop. Moreover, there are many insurance companies that will reduce your rates for every year that you go without a ticket conviction on your record. People lose that opportunity when they get a traffic offense on their driving record. 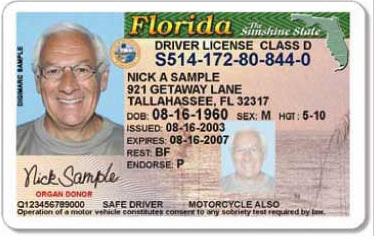 The State of Florida has determined that receiving 12 points in a single year means that you don’t know how to operate a motor vehicle properly or that you don’t fully accept the responsibility of that privilege. It’s quite easy to get multiple violations in a year, especially if there is something about your vehicle which flags police or if you live in a crowded metropolitan area like Miami, Florida. Cops will follow someone who is driving improperly without stopping them for a while so that they can observe more than one violation. This can rack up the tickets and points issued to that driver by the time they do pull them over. It is not uncommon to get hit with improper turning, reckless driving, and speeding all in one stop. All it would take after that is another speeding ticket or failure to respond to a traffic sign to put someone over the point limit for a suspended license. As a Miami ticket lawyer since 1988, I have seen the results of someone having a bad day or speeding because they were late and suddenly they’re looking at 11 points in one stop. Calling in a traffic ticket attorney to help with your traffic offense is never a bad idea. Not only can it save you money in the long run, but also avoid loss of license should you find yourself in a bad spot. We have been successful with finding ways of getting traffic tickets dismissed, mitigating traffic offenses and clearing our client’s records of points so that they can maintain a clean driving record. Just call us for some help when you get one. It’s only a matter of time in Florida. A ticket can be won in court by experienced TicketLawyer Albert Quirantes. Just visit our website or call the office for a free consultation. Our goal is to get your ticket DISMISSED! Increase your knowledge! If you want to know more about how to resolve the problems you face when charged with a DUI, criminal offense, or traffic ticket in Florida, then you can follow Miami Attorney Albert M. Quirantes – Ticket Law Center, A Criminal & DUI Defense Law Firm on Facebook, Twitter, or Google+. If you have any questions about this or any other Traffic Ticket, DUI or Criminal accusation, call Miami TicketLawyer Albert Quirantes at: 305-644-1800 or visit our homepage at www.TicketLawyer.com for a direct link to the office or a text message or a map and directions.